If you want the best skin of your life, you can get it with Eric Jorgenson, ND, and state-of-the-art HydraFacial® treatments. 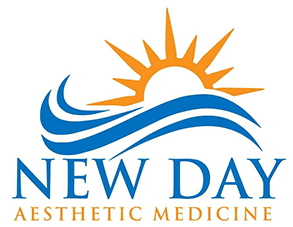 At New Day Aesthetic Medicine, located in Hood River, Oregon, Dr. Jorgenson and his team provide innovative skincare treatments that deep clean, exfoliate, and enhance your skin to reverse the effects of aging. To see what professional, customized HydraFacial skin care treatment can do for you, call New Day Aesthetic Medicine today to schedule your appointment, or book online. HydraFacial is an invigorating skin care treatment providing long-term skin health that’s customized to your specific needs. This unique treatment is a type of hydradermabrasion that involves using a specialized tool to suction away impurities. At the same time, the HydraFacial device pumps serums and boosting agents onto your face at a rapid pace, almost massaging your skin along the way. Every HydraFacial treatment has three stages that leave your skin noticeably revived — with no downtime and no irritation. Each HydraFacial begins with Vortex Exfoliation to thoroughly cleanse your skin and gently exfoliate. The specialized Hydrafacial tip carefully removes dead skin cells, so fresh, healthy skin cells can shine through. Next, you get a personalized Vortex Peel, which combines a combination of glycolic acid and salicylic acid for even deeper, chemical exfoliation. The benefit of this type of exfoliation is that it breaks down dead skin cells and debris buildup, without needing physical scrubbing. Finally, you get the revolutionary Vortex Extraction. The innovative HydraFacial tip suctions out blackheads, dirt, debris, and anything else that’s clogging your pores. The entire HydraFacial, from beginning to end, takes just about 30 minutes. How can a HydraFacial help me? 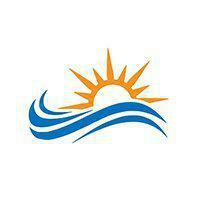 Dr. Jorgenson usually recommends monthly treatments to achieve and maintain optimal results. With routine HydraFacials, you can reduce the appearance of fine lines and wrinkles, dark pigmentation, and acne blemishes. Which HydraFacial Boost is right for me? Each HydraFacial treatment improves how your skin looks and feels, while restoring your skin to a level of health that you probably had when you were younger. If you want the best skin of your life, you can get it with HydraFacials at New Day Aesthetic Medicine. Call the office, or go online today.